Christensen named the World Health Assembly (WHA), WHO, Interpol, and the International Civil Aviation Organization (ICAO) as important examples of organizations that should accept Taiwan. 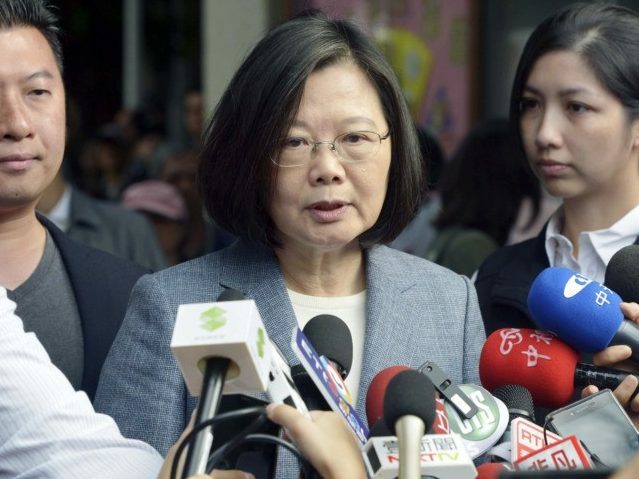 He noted Taiwan was invited to annual WHA meetings from 2009 to 2016, at which point it was “suddenly no longer welcome to attend” because a more independence-minded candidate, Tsai Ing-wen, won the Taiwanese presidential election. “We continue to work with other like-minded countries to lobby international organizations to put health, security and economic prosperity above politics,” Christensen said. Taiwan’s Ministry of Foreign Affairs last week called on Interpol and the ICAO to invite a Taiwanese delegation to their upcoming assemblies, insisting China has no right to represent Taiwan at such meetings. Christensen is the director of the American Institute in Taiwan (AIT), which serves as the unofficial U.S. embassy and is significantly larger than many officially-recognized U.S. embassies around the world. “Our commitment to Taiwan’s security remains rock solid,” he said. China decided to observe the 40th anniversary of the Taiwan Relations Act by conducting provocative military exercises around the island. The Chinese People’s Liberation Army claimed these exercises were routine and “necessary” drills, but they were denounced by U.S. officials as attempts at “coercion” and intimidation. Taiwan’s Ministry of National Defense called the Chinese maneuvers an “irresponsible” threat to regional stability.